A record entry of 203 boats contested the 38th edition of the Grafham Grand Prix, round four of the Selden SailJuice Winter Series. F18, N18 & 2000 are Grafham Grand Prix victors. 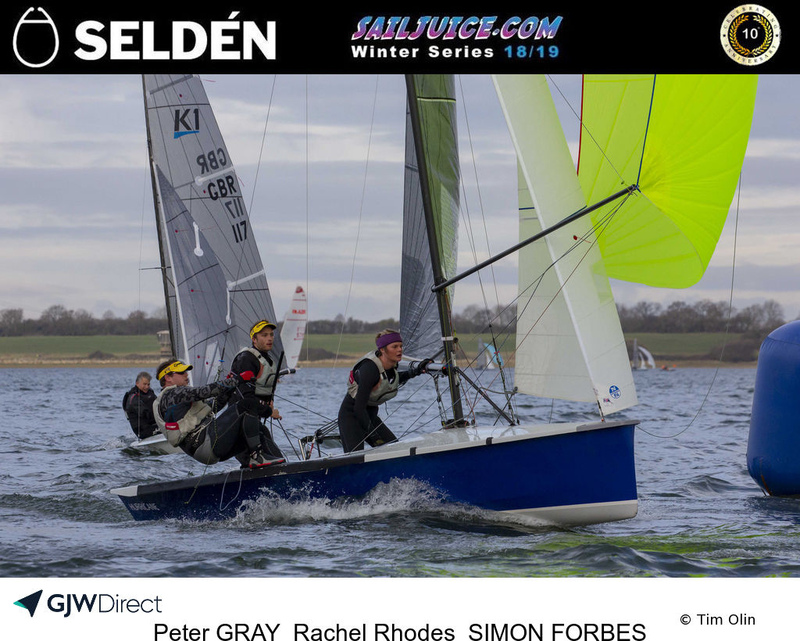 Results The 38th Grafham Grand Prix, part of the Selden SailJuice Winter Series, drew a record entry of 203 boats for the event on Sunday 30 December. Conditions for the end of December were kind: a gentle 6 to 8 knot breeze and temperature of around 10 deg C. The entry list was full some 12 hours ahead of the final closing time, and the largest class represented was the Solo with an impressive 23 entries. Other double-figure entries were from the RS600s (11), RS Aero 7 (11), Laser (10), and Laser Radial (10). Racing was on three separate courses: Fast/Asymmetric sailing an upwind/downwind course, Medium, and Slow, both sailing trapezoid courses. All fleets completed the scheduled three back to back races and were back on shore in time for mince pies and mulled wine. The Fast/Asymmetric fleet had an entry of 35. Winners overall for the second year running, and first catamaran, were David White and Jon Sweet from Grafham Water Sailing Club counting two first places. The Norfolk Punt of Colin and Oly Murray came in second place and Ben Schooling third in his Musto Skiff. The Medium fleet had an entry of 82. There were some late adjustments to the results, but following these the National 18, sailed by Peter Gray, Rachael Rhodes and Simon Forbes from Staunton Harold, emerged as the worthy winner, counting a first and a second and discarding their BFD in Race Three. George Smith and Michael Iszatt, both part of the strong RS600 representation, took second and third slots respectively, with Olympic sailor Ben Saxton and Izzy Hamilton fourth in their RS200. The Slow fleet had an entry of 86. Shifty conditions at the dam end of the lake and a degree of over enthusiasm by the competitors made clean starts for the large fleet a challenge, and there were a number of general recalls for Race 1. However things settled down thereafter. Eventual winners were Simon Horsfield and Katie Burridge, from Army Sailing Association, in their 2000, counting two firsts. Jon Emmett was second in his Laser and last year’s winner, Jasper Barnham and Serena de Nahlik, from Snettisham Beach, were third. Alastair Goodwin from HISC was fourth in his Laser. Thanks are due to race officers Peter Saxton, Graham Louth and Nigel Denchfield and the large team of volunteers (over 30 in total) as well as the Grafham staff, who all helped make the day a success. SailJuice.com is the ‘how to sail and race faster’ website, with hundreds of articles and exclusive interviews with National, World and Olympic Champions. 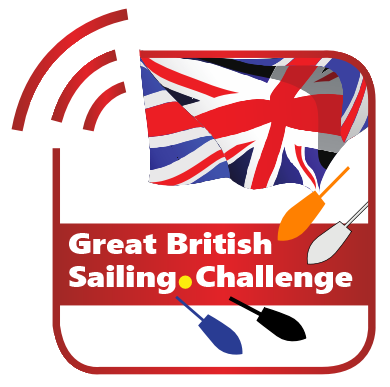 Professional sailing journalist and editor of SailJuice.com, Andy Rice, came up with the concept of the SailJuice Winter Series (originally known as the SailJuice Global Warm-Up) as a way of increasing participation levels in dinghy racing during the off-season in the UK. SailRacer manages event websites and processes online entry for major National, International, Youth and training events, providing online scoring, analysis and advanced sports presentation including GPS tracking and live video. Seldén Mast Ltd is the world leader in dinghy spars. More races are won by Seldén Spars than any other brand. Dinghy spars are made using 6082T6 aluminium with CNC cut tapers, automated welding and heat treating resulting in the highest quality and most consistent dinghy spars available. Seldén produces about 400 carbon masts per year for boats including high performance dinghies and race yachts.